It’s that weekend again when the Ville de Sarlat la Caneda considers all things truffly. 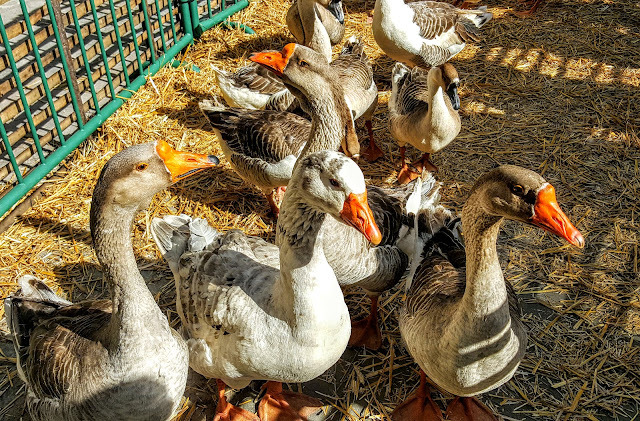 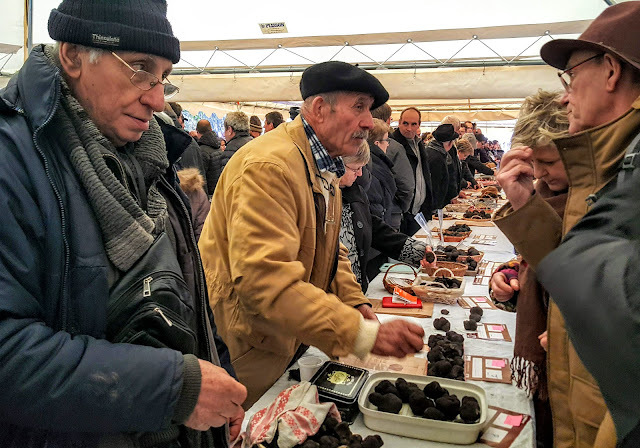 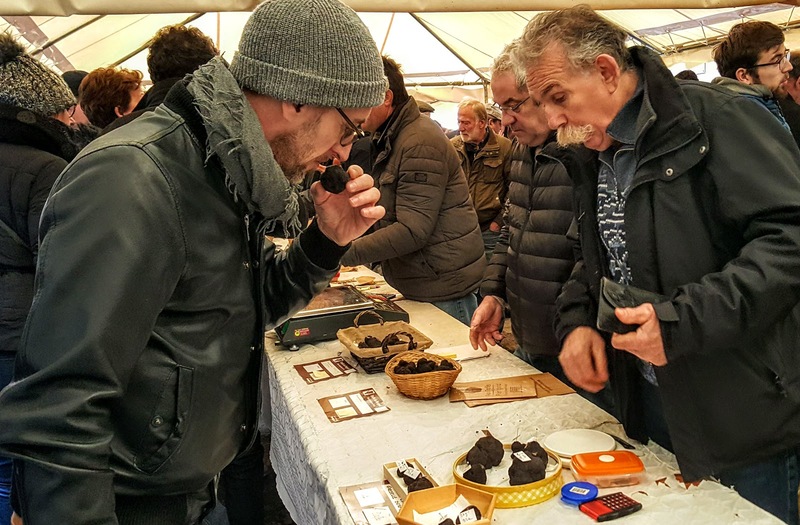 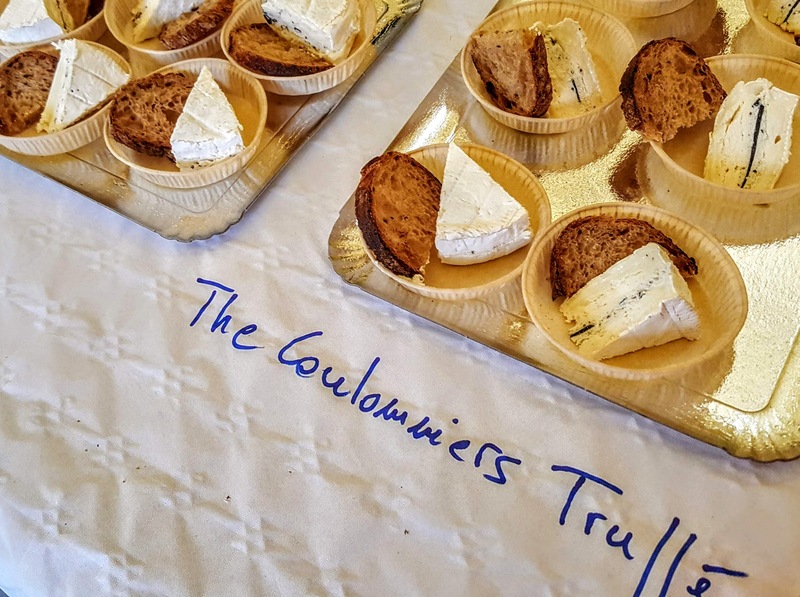 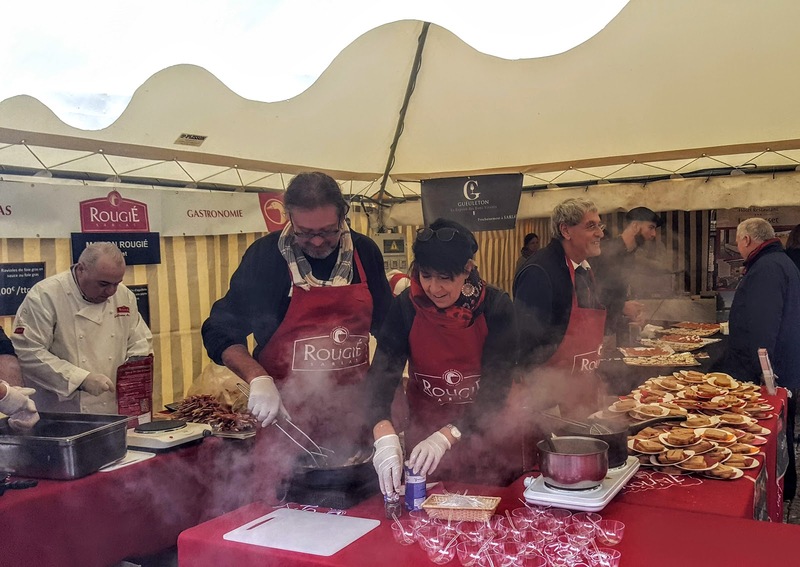 The annual Fete de la Truffe was in full swing yesterday. The air in the market square hung heavy with a truffled pungency whilst unfeasibly large amounts of money changed hands. 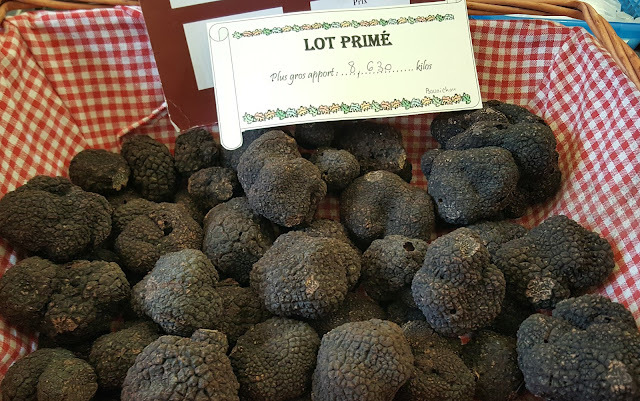 At anywhere between €700 and €1150 a kilo, the much coveted 'Black Diamond of the Perigord' is not something to be sniffed at - or rather it is - as sniffing is the litmus test to judge the quality of this underground fungi. 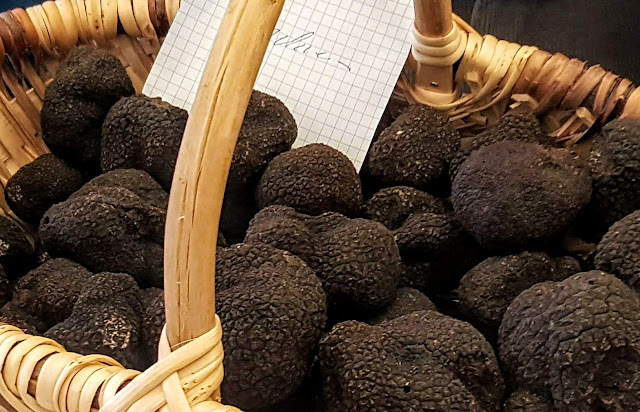 The intrigue and mystery surrounding the Perigord truffle is such, that it prompted internationally acclaimed best selling author, Martin Walker, to write his crime caper, 'Black Diamond' set within this region. 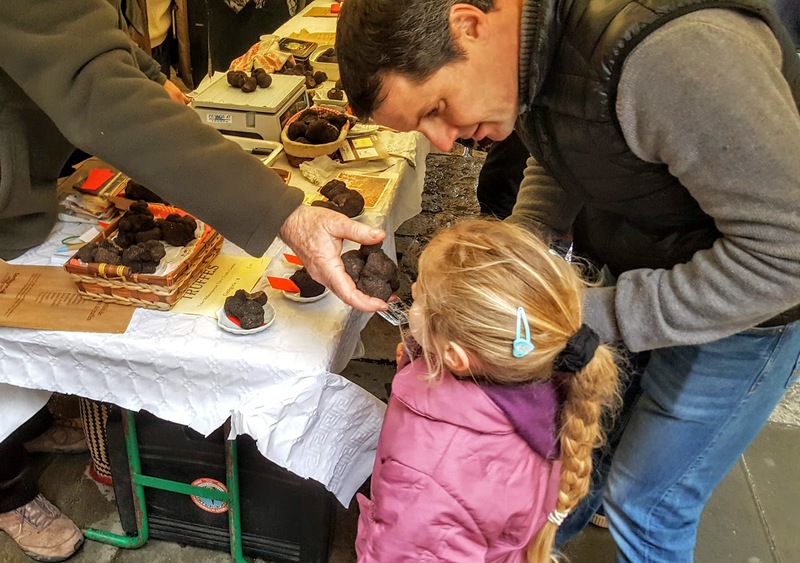 Young and old, this really is truffles for the people! 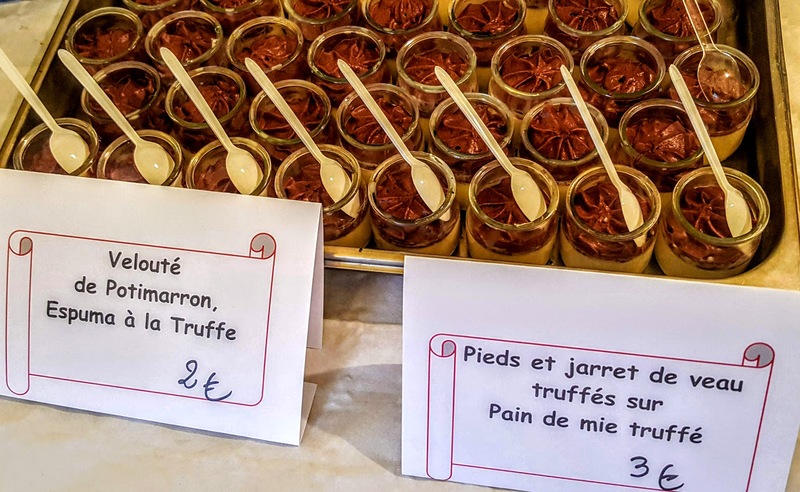 Of course an event such as this becomes a truffled culinary extravaganza. 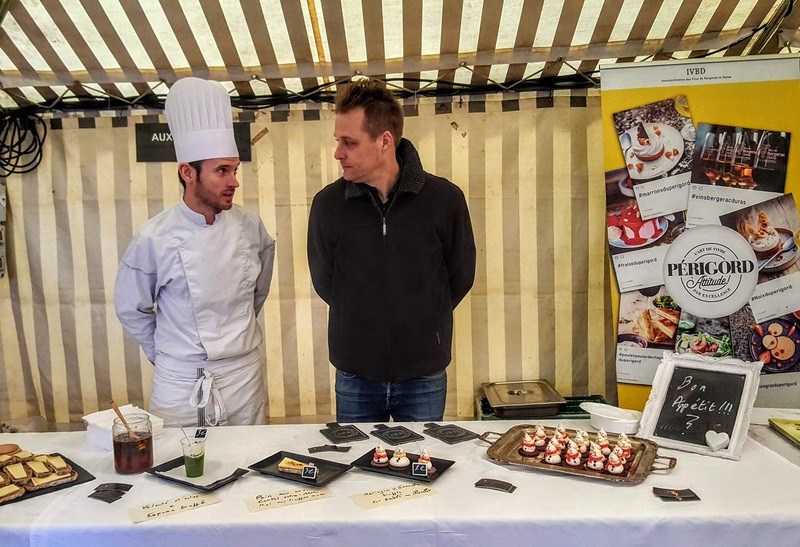 Chateau Vari and you are guaranteed to banish the January gloom. 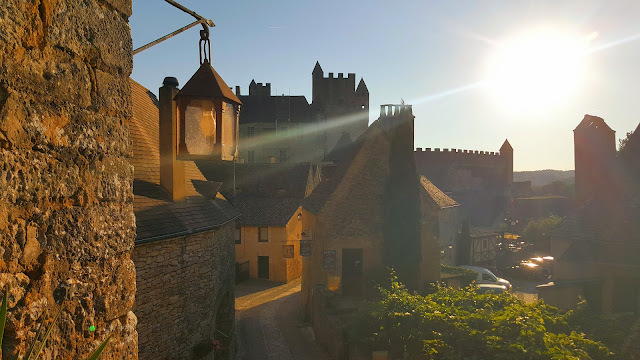 A quick note on Chateau Vari and the wines of Bergerac in general. 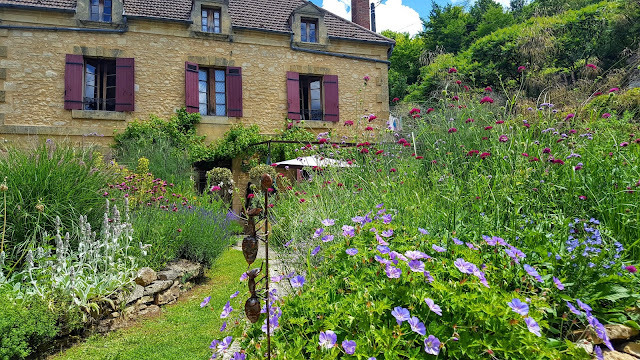 A little known appellation outside of France, AOC Bergerac leads the way in organic and bio-dynamic wine making. 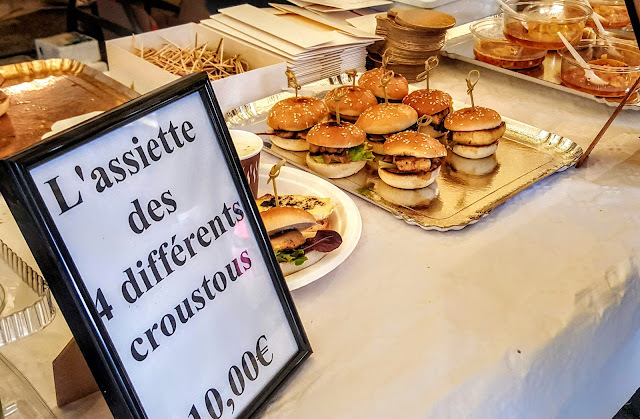 It makes some very fine wines indeed, easily comparable with the best of Bordeaux, but I re-iterate, little known beyond France as for many centuries it has been overshadowed and under the hegemony of that big city to the west which controlled access to the sea and international trade. 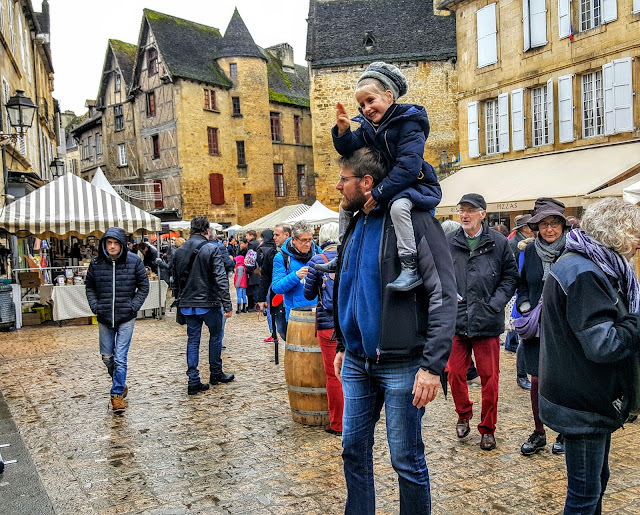 From dry whites to fruity reds and dessert wines which can compare to a Sauternes, I urge you to hunt out a bottle from Bergerac and the southwest. 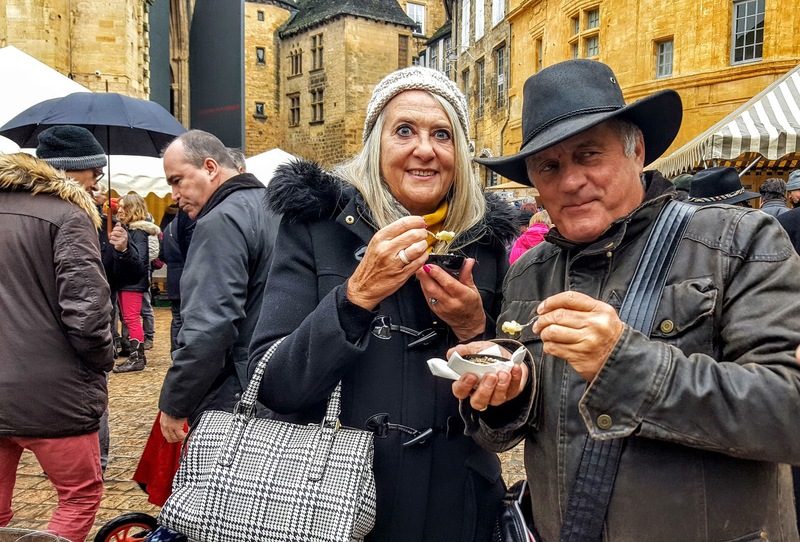 Just a Fab day out - these couple of rogues (our friends) pictured below seemed to enjoy it - all within the stunningly beautiful medieval setting of Sarlat.